Metalcompbecame one of the key players for large construction (roads, warehouses, business premises, complex works, excavation, earthworks, water and sewerage networks), collaborating with major construction companies on several continents. The seriousness with which we treated each partnership, have secured us the status of preferred subcontractors by many international companies, in both industrial buildings and the construction of highways and road infrastructure. We wish that Romania would attain at some point the degree of development of infrastructure like civilized countries of Europe. 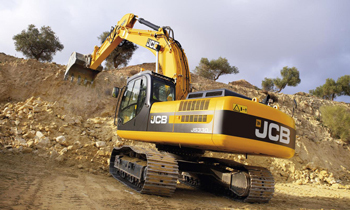 Our company owns a complete park of equipment, ensuring the management of any work regardless of the scale. - Industrial Construction: all involving warehouse structure: warehouses, factories, logistics centers, industrial parks, production units, workshops, car washes, farms, slaughterhouses, gyms, and commercial projects such as showrooms, shops, supermarkets and hypermarkets, shopping malls, etc. - Special construction, road construction and industrial concrete sites and making of ways of communication, execution and maintenance of roads, highways, bridges, parking, hydro construction, tunnels and technological platforms, asphalting of roads, municipal engineering works, national roads and highways, road upgrades, repair and rehabilitation of streets, road repairs. Transport rutier national si international. 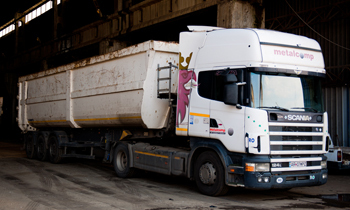 Metalcomp provides general freight transport and specialized transport for the group’s customers and own logistics (ferrous and non-ferrous shipments from partners and transport to the point of discharge from the iron and steel industry). The park of heavy-duty vehicles of our company is composed of over 90 modern trucks with loading capacity of 20 tons and useful volume of 90 cubic meters for intern and international transport. We also have trucks for containers transport, Metalcomp having one of the largest networks of containers of the west of the country, with more than 100 containers. Today, we can state that Metalcomp has the capabilities needed to transport anything, anywhere and at any volume. Our partners have the advantage of flexibility in working with us (special contracts, containers left at the customers for loading, dedicated fleet insurance, heavy transport, waste transport, insurance of the loading equipment onsite, ensuring specialist teams for loading / unloading). Metalcomp partners have their own needs and we try to be the perfect tailored solution exactly for that need. Therefore, our partners have an advantage with Metalcomp day-by-day support. Rent Metalcomp equipment for any type of work! You have a guarantee of profitable partnerships and safe and quality services; Metalcomp ensures equipment and complete facilities for any type of construction. . We tried to identify the exact needs of our customers and to intervene with equipment and machinery in every stage of construction (from demolition, excavation, stripping, to special equipment for access to inaccessible locations and heavy- duty trucks). A team of well-trained drivers will provide the experience to get the job done in terms of quality and compliance with the deadlines. In other words, Metalcomp can provide the support needed for any job, profitably and on time.